Anytime a new baby comes along, so too do the opportunities for brand new baby photos! Our little ones are the cutest, after all! The best photos are the first ones after they are born. Between the sweet poses and the adorable clothes, these photos make the best keepsakes! 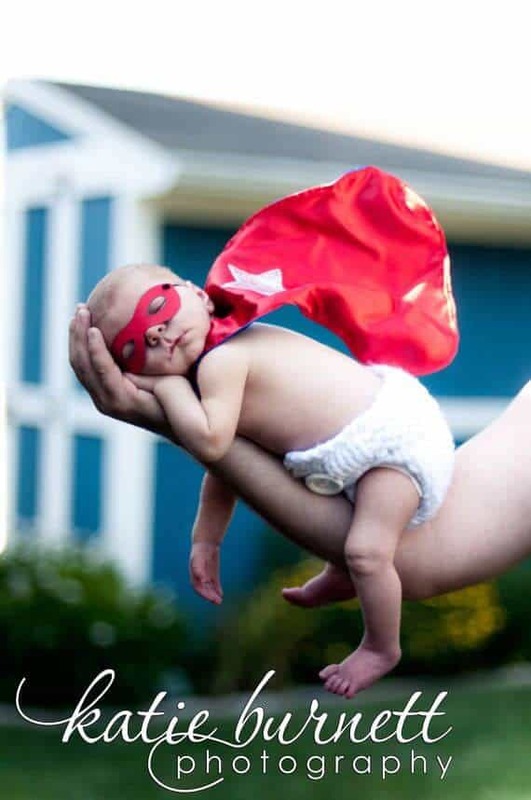 Here are the top ten most adorable newborn photos we’ve ever seen! #1 – Don’t Mess With Her! This sweet and endearing photo shows just how special the relationship between big brothers and little sisters are. 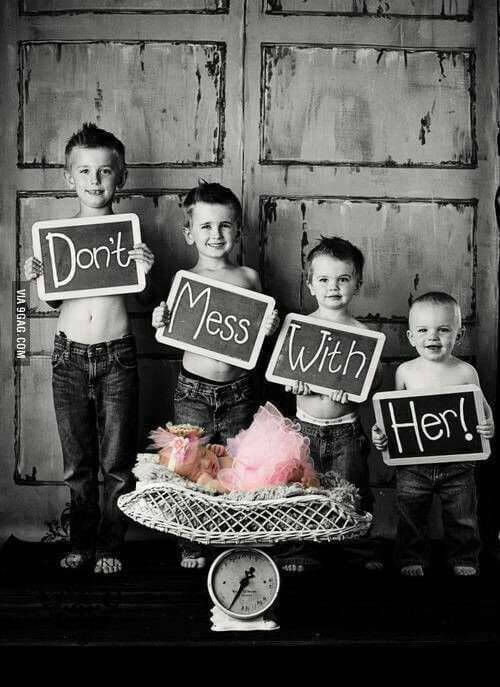 Four handsome little gents in this photo warn everyone not to mess with their new little sister! 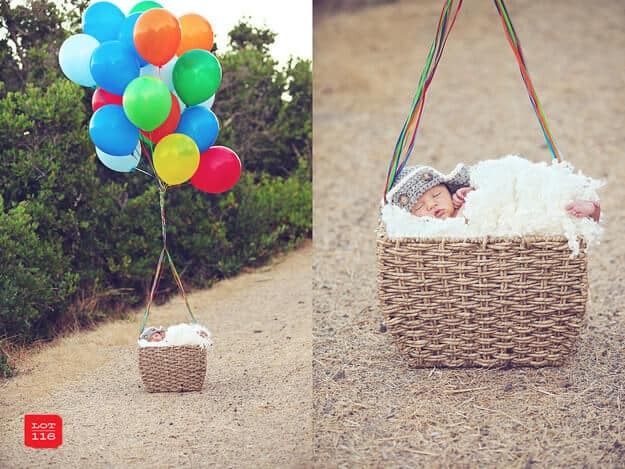 This is quite possibly one of the most adorable newborn photo-shoot ideas, ever. 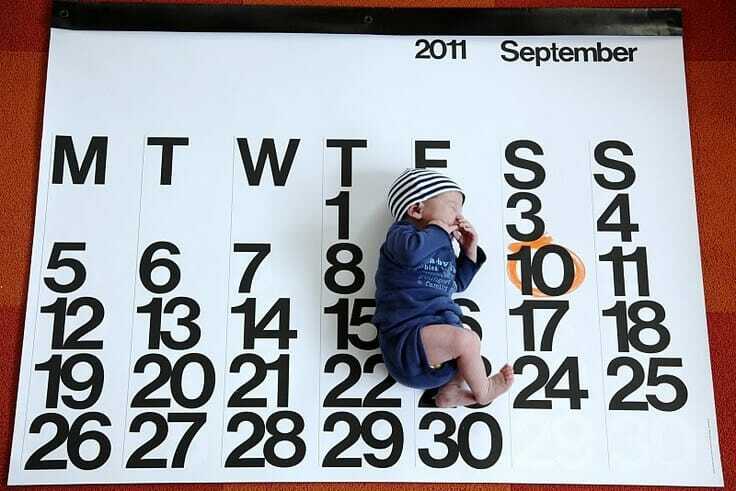 Take a somewhat large piece of paper, draw it into a grid, make it into a calendar, with the month being the one of your child’s birth. Circle the date they came into the world, and voila! Too cute! #3 – Kisses For Baby! Everyone loves giving the new baby kisses, so this just seems appropriate! The cute knit cap is the finishing touch on this sweet photo. Scatter around some Hershey’s kisses and you have a beautiful shot to treasure for years to come! #4 – Mom, Dad & Baby Make Three! First comes love, then comes marriage, then comes your adorable little sweetie-pie in a baby carriage! 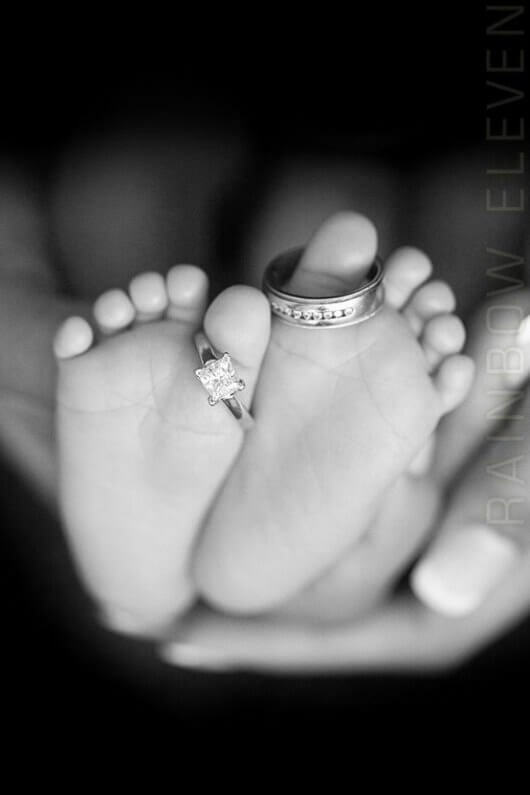 This photo evokes emotion, with your love story coming full circle with the birth of your child. 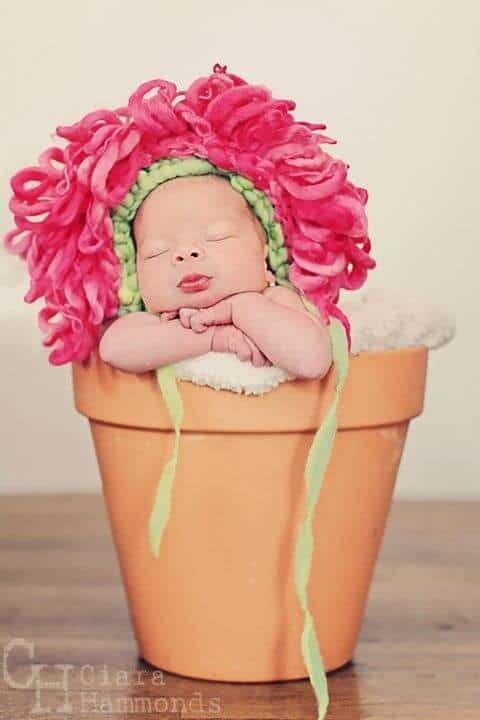 Your little one’s personality blooms more and more each new day! Let their adorable personality show through with this sweet springtime themed photo-shoot! 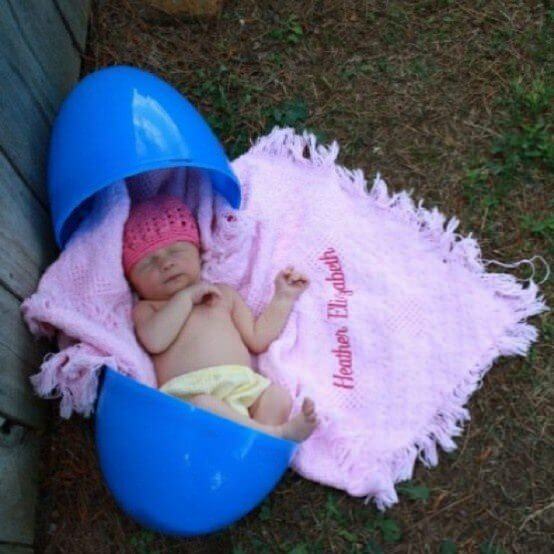 If your baby was born around Easter time, than this is the perfectidea for their first photo-shoot! The giant Easter egg just ties the whole picture together! A beautiful gift, indeed! #7 – Super (Sweet) Baby! Your little one flies straight into your heart with their love and cuddles and sweet snuggles. The mask and cape are the perfect touch to this cute outfit! #8 – Up, Up & Away! This impossibly cute photograph pays homage to the lovable animated movie with the brightly colored balloons, ready for takeoff. This photo will surely bring nothing but smiles to all who gaze upon it. PreviousPrevious post:22 Fun & Free Baby Shower Games to Play!NextNext post:Create the Perfect Baby Changing Station, Plus a Checklist Printable!